Harnessing the simplicity of the native iPhone interface, the WoundSmart™app allows for better wound care, decreased liability, and increased interdisciplinary communication. Wound professionals can now document a wound, follow its progress and communicate results directly to a colleague, consultant, or a patient’s caregivers directly from the WoundSmart™ app. WellDyne Health, an innovative provider of health solutions and distributor of CellerateRX®, today announced their exclusive sponsorship of WoundSmart™, a professional wound care documentation tool bringing mobile wound documentation directly to a wound professional’s iPhone® or iPad®. WoundSmart™ is a fully functional documentation suite that can be used to document a wound’s progress on a daily, weekly, or monthly basis, while maintaining the complete wound care history safely and securely on a professional’s iPhone or iPad. Wound professionals can now maintain patients’ demographic information, wound history, wound-specific lab results, cultures, and radiographic history in one place that is easily accessible from the office or in the field. WoundSmart™ maintains a record of a wound’s progress, including size and depth, as well as all wound and peri-wound characteristics, grade, drainage, wound procedures, interventions, signs of infection, laboratory values, and radiographic findings, in addition to pictorial documentation. Harnessing the simplicity of the native iPhone interface, WoundSmart™ allows for better care, decreased liability, and increased interdisciplinary communication. Professionals can now document a wound, follow its progress and communicate results directly to a colleague, consultant, or a patient’s caregivers directly from the WoundSmart™ app. WellDyne Health is the exclusive sponsor of the WoundSmart™ application, created by Dr. Alec Hochstein, the “iPodiatrist” in consultation with noted wound care specialists, radiologists, and iOS interface experts. WellDyne Health is a distributor of CellerateRX®, a patented advanced wound care collagen product that delivers the power of activated collagen to the body, jump-starting the wound healing process. 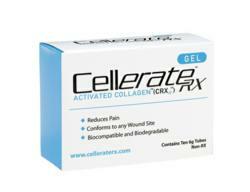 CellerateRX® collagen sets the standard for managing difficult wounds as well as those that occur from common skin abrasions. It is FDA cleared for all acute and chronic wounds except 3rd degree burns. CellerateRX®is exclusively licensed by Wound Care Innovations, LLC, a wholly owned subsidiary of Wound Management Technologies, Inc. Wound Management Technologies is an emerging commercial stage company with primary products in the advanced wound care market. Wound Management has other advanced biotech products in development, including a patented resorbable bone wax line that is in late stages of development. WellDyne Health became a distributor CellerateRX® in June 2011. To learn more about how CellerateRX® please visit http://www.WellDyneHealth.com, or contact a sales associate at (888) 830-3609. Or, Follow us on: Facebook and Twitter. WellDyne Health is an affiliate of WellDyne, an innovative health care solutions company that is leading the way in developing products and services to help people live healthier lives. WellDyne’s affiliates include WellDyneRx®, a full-service pharmacy benefit manager (PBM); US Specialty Care®, a leader in providing complex, specialty pharmaceuticals; WellMailRx™, providing customized pharmacy mail service solutions through advanced robotic dispensing and distribution systems, including Central Fill capability; and NetCard Systems™, an advanced technology network administration leader. WellDyne operates from two regional offices located in Centennial, Colorado, and Lakeland, Florida. WellDyne’s clients include managed care organizations; Medicare and government health plans; self-insured employers, including state and local governments; third party administrators; and unions.